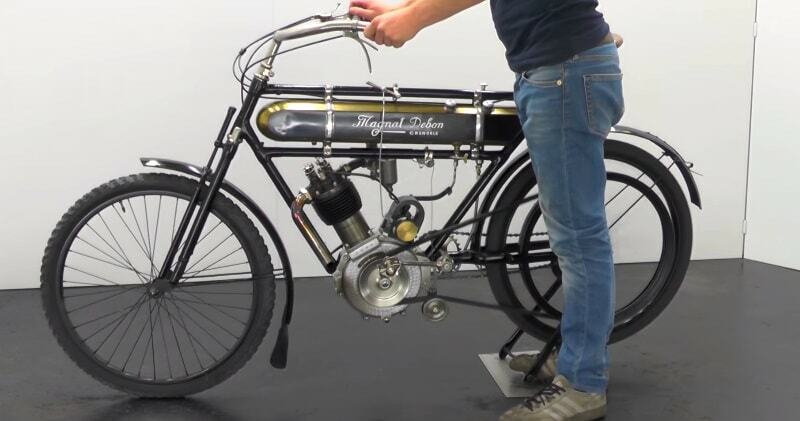 Client-competition motorcycles were very popular in France before WWI, because they were developed from road-going models and because they brought a new powered sport form within the reach of amateur riders. In 1913, one of the most competitive options available was the Magnat-Debon 4 hp. 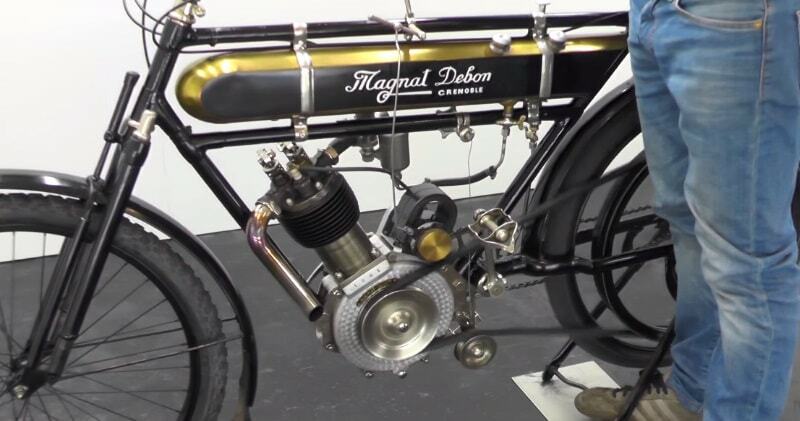 Magnat Debon were advanced thinkers, who developed a telescopic frint fork and experimented with wheel rim mounted disc type brake before WW1. During the inter-war years they built commuter-type motorcycles and ohv sporting singels, some of which, stripped for racing, did well in the hands of riders like Paul Boetsch. Magnat Debon was taken over by the Dijon firm of Terrot in c1930. After WW2, much of the Magnat Debon range looked like that of Terrot and comprised mopeds, two-stroke scooters an up to 500cc motorcycles. Their last ohv 499cc single, built in unit with a four-speed gearbox, was cracking touring motorycle. This racer is one of only five surviving “Course” examples. It has been restored some years ago to a very high standard and is still in fine condition.